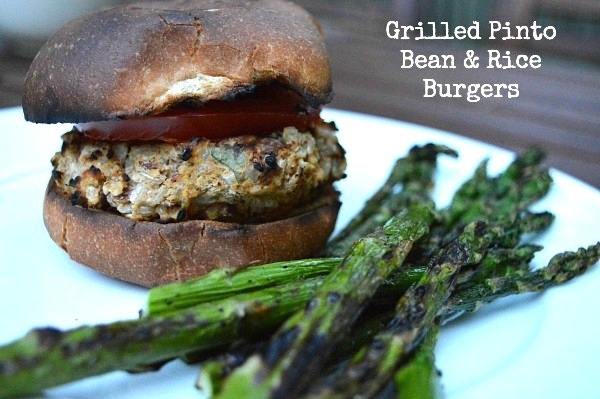 Plant-based has never tasted so good! 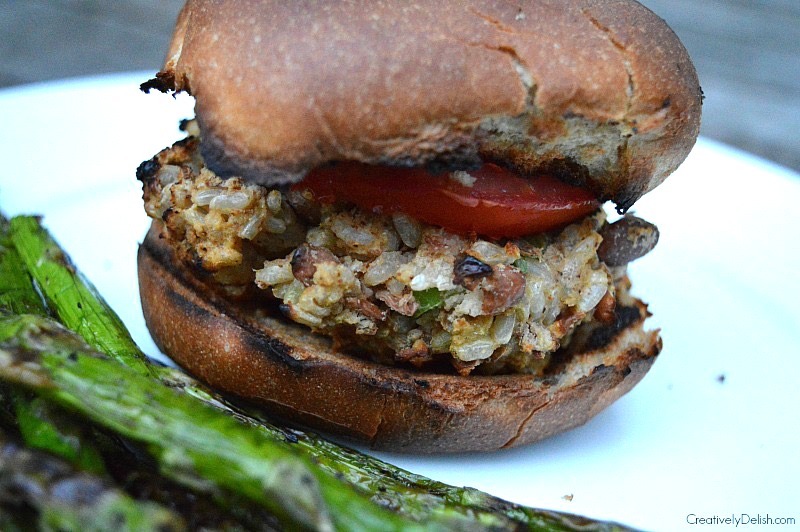 Going meatless is a healthy dinner option, and you won't miss out with these flavorful, filling and nutritious pinto bean and brown rice burgers. Ryan and I have been eating a more plant-based diet for some time now and we feel incredible. Not only that, but our wallets are pretty happy too. This meal in particular costs close to nothing to put together and makes eight patties - enough for leftovers or a whole crowd. With a mixture of mashed pinto beans, brown rice, scallions, fresh cilantro and a few south-of-the-border spices - these can be whipped together in no time! They are not vegetarian however - I used eggs as a binder but I'm working on a vegetarian option for these. 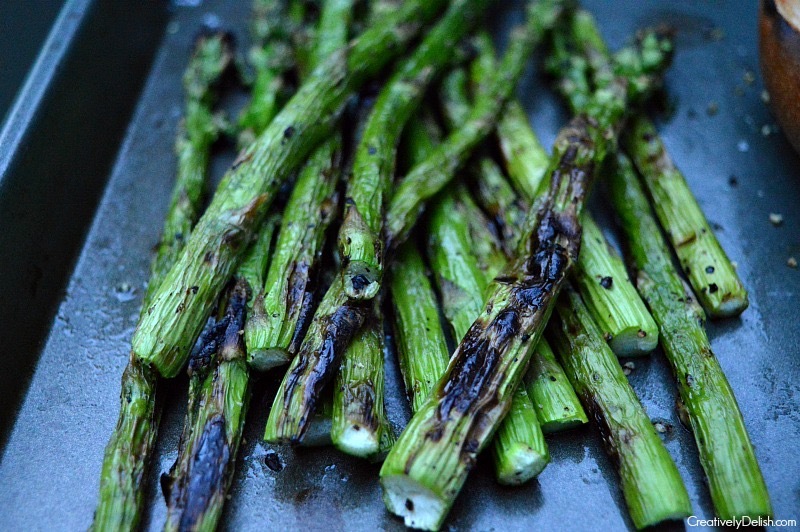 They hold together really well for the grill but you could also make these in a pan with some oil as well. Of course when you have a burger, you need fries right?! We prefer grilled asparagus - just sprinkled with salt and pepper and tossed in a little coconut oil. They are so delicious and you could eat a hundred and not feel guilty. 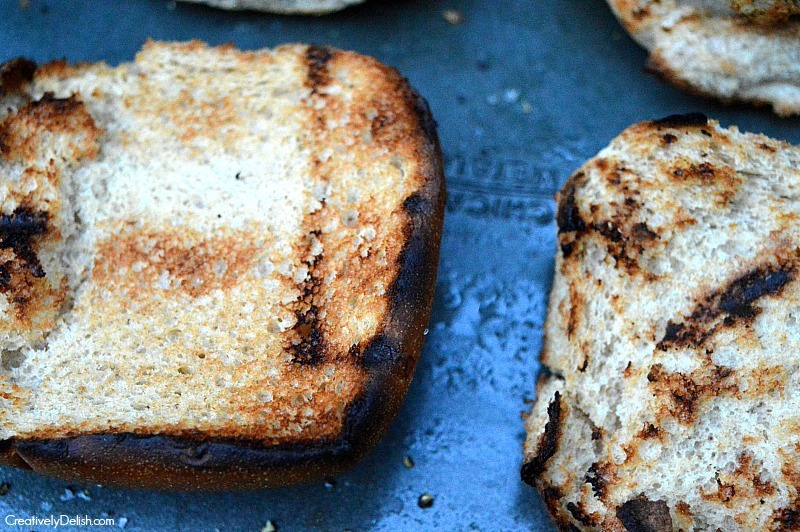 We love this option, but you could always grill up some potato wedges too. 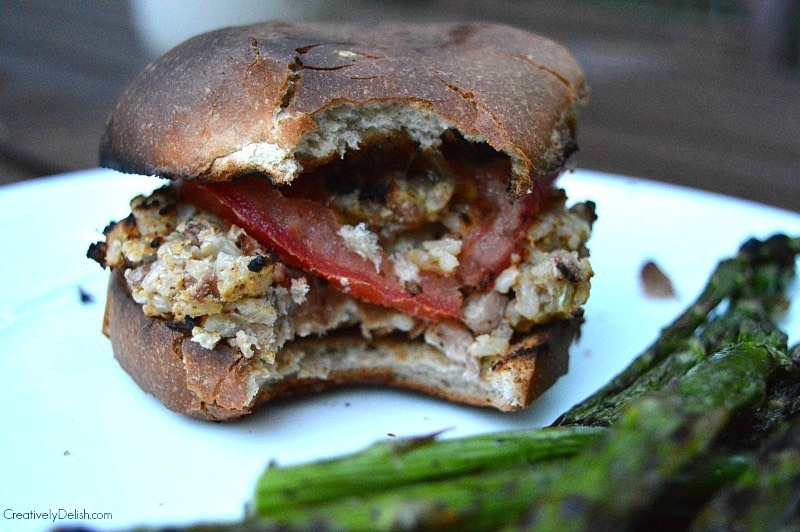 Garnished with a simple slice of juicy summer tomato packed between a perfectly grilled whole wheat bun. With the southwestern flavors of these, you could also top on some sliced avocado or crisp lettuce leaves. Be sure not to over mix the patties - otherwise they can get dry. The burgers will have just the right amount of moisture, however if you find they are dry for your taste buds, try a little BBQ sauce over top. In a large bowl, mash the beans with your hands to form a paste. Add all other ingredients through the sea salt and combine until everything has mixed well. Use your hands for this instead of a spoon to avoid over mixing. Form 8 patties using your hands and preheat the grill. Cook each patty for about 8 minutes each side or until each side has browned. 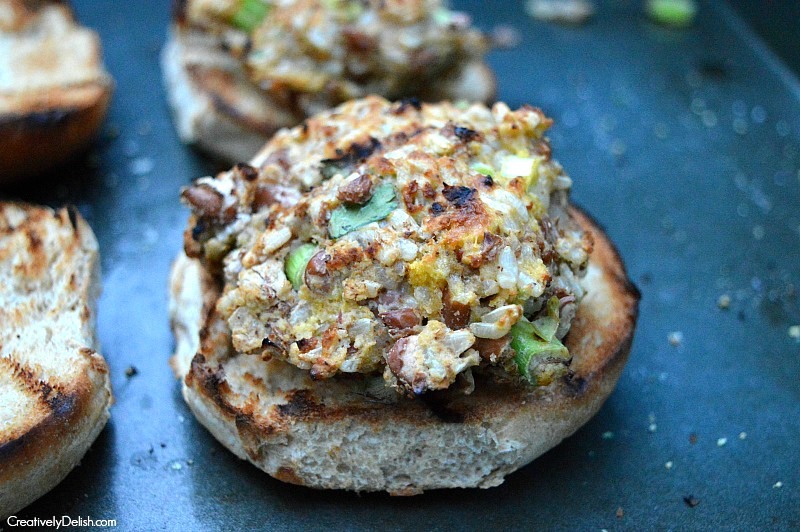 Grill the buns until toasted to your liking, then assemble the burgers. 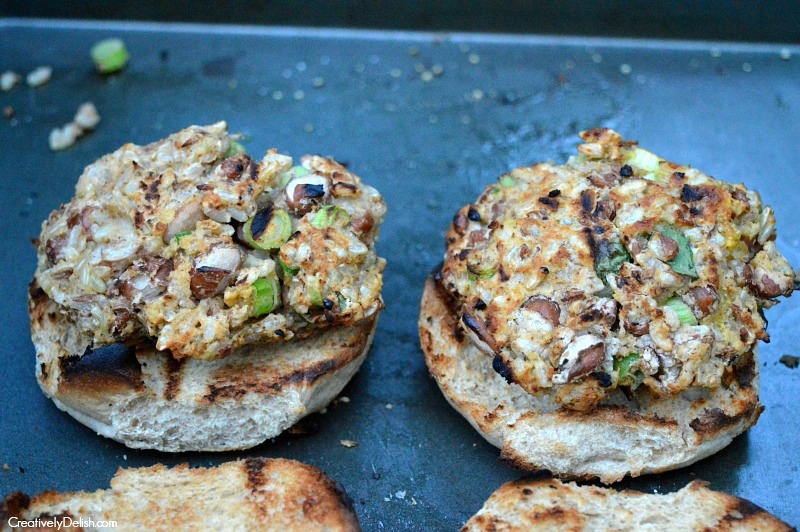 These are great with grilled asparagus!